Discover a new approach to Scripture with this imaginative way of looking at things that are right in front of us, all while delving deep into biblical truths. There are many ways to learn about the Bible, even if it seems to be totally familiar to us. It is, in fact, full of so many little known, interesting stories like the ones that rivet today's audiences -- full of intrigue and surprising changes of character. Broken up into individual sections, such as "Freaks and Geeks," "Dashers and Vixens," "Big Shots and Mug Shots," "Leaders and Laborers," and "Prophets and Losses," it can be read a bit at a time. 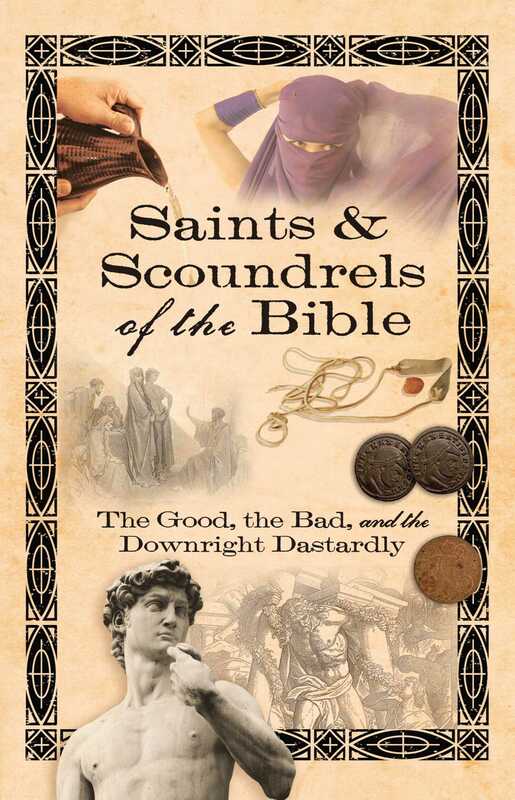 Saints & Scoundrels of the Bible reveals many of the little-known facts about Scripture in an entertaining and informative manner, so the reader will be fascinated and constantly saying, "I didn't know that!" With chapters such as "The Trickster Trailed," "The Perils of Paul," "Tempting Tamar," "A Greedy Grandmother," and "The Deadly Dance," readers will turn each page to find out what happens next in these captivating tales. This clever new way of reading Scripture puts a light-hearted twist on old stories, all while drawing the reader closer to God's truth. There is nothing old or boring in this creative approach to learning about the Bible.